Another CHIUstream challenge. 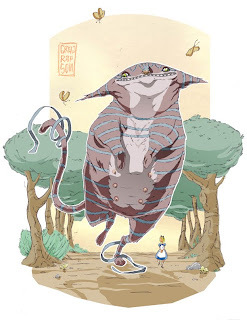 Design your own Cheshire cat. This is a ballpoint pen sketch with photoshop colours. I could sure go for a spot of tea and some bread and butter butterflies. and lovely in its unique design. thanks Matteo, im glad you dig it!